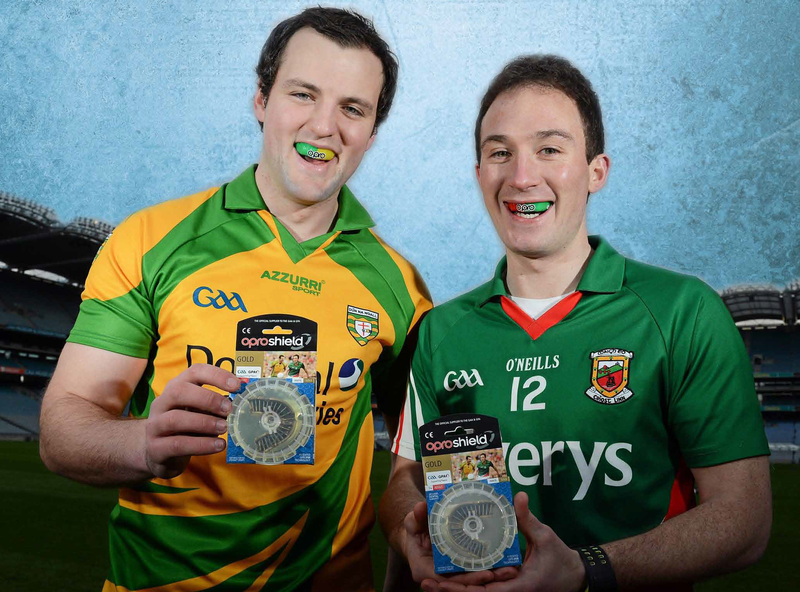 Since January 1st 2014, it has been mandatory for players in all grades to wear a mouthguard in all Gaelic football games and practice sessions. ~ All Gaelic footballersmust wear a mouthguard in practice sessions and matches. ~ No Mouthguard? No Game! 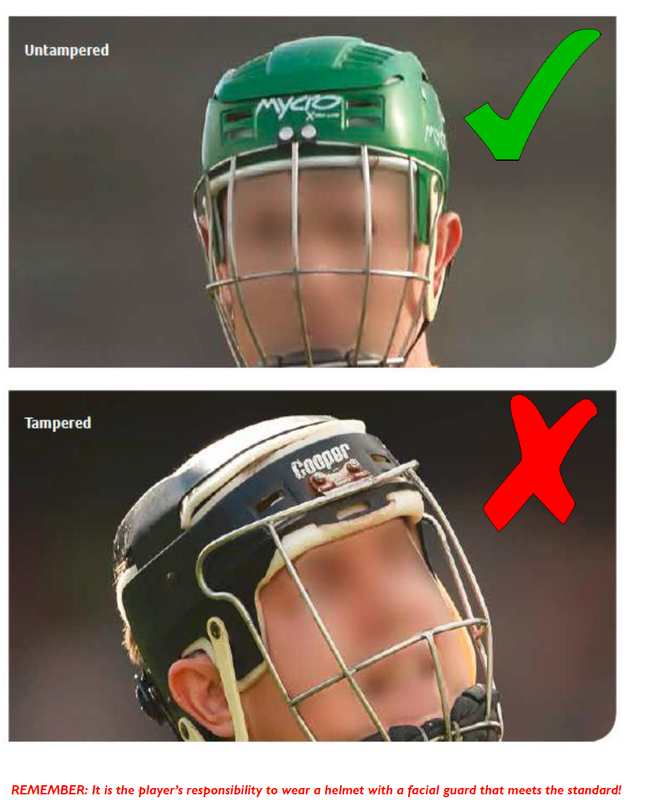 The GAA would like to remind all players at all levels in all Hurling Games and Hurling Practice Sessions it is mandatory for, and the responsibility of, each individual player to wear a helmet with a facial guard that meets the standards set out in IS:355 or other replacement standard as determined by the National Safety Authority of Ireland (NSAI). The following helmet manufacturers currently provide products which meet the standards set out in IS:355 or other replacement standard as determined by the National Safety Authority of Ireland (NSAI). Players and parents should note that not all products provided by some of these manufacturers meet the standards of IS:355. Once the helmet or faceguard is modified in anyway, the player is playing at an increased risk of injury and not covered under the terms of the GAA Player Injury Benefit Fund.